Hillary Clinton’s money man, fundraiser for oodles of State and Federal candidates, was highlighted in Former Miami Beach Mayor's tell all book. What Alex Daoud said about Korge in his book is pretty toxic and Daoud stands firmly behind his words. 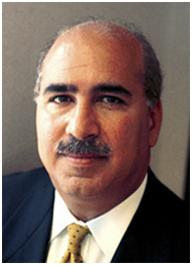 Daoud, a city of Miami Beach Commissioner at the time, said he got pressured by Korge to get him his first job, as an Assistant Attorney in Miami Beach. Daoud said he felt guilty using his influence to get Korge the job, but Korge begged him to do it. In His book “Sins of South Beach” Daoud recounts two instances when Korge delivered bribes to him. One bribe he accepted. The other he did not. This is why reading this book is making me nauseous. The assertions made about Korge are enough to make me want to puke. Politicians treat Korge like a God. he is respected and put on Boards. But if what Daoud said in his book is true, he is nothing but low-life scum, a bottom-feeder and should be treated as such. Penelas gave Korge unlimited access to the 29th floor when he was mayor. Remember that when Penelas runs for another office. Well at least your suspicions are confirmed as what goes on in government. Penelas will never run again for another government position, unless the economy gets so bad his law practice and investments dry up and he has to go back to the well. Do you guys really think Korge is worried about what some washed up has been, living in a halfway house, says. It just adds to the aura. Korge might not be worried... who cares? But I believe Daoud on this one. Thank you Genius for having the courage to tell the truth about my first cousin, lawyer, lobbyist, bagman, Chris Korge. Most of the news media are terrified by his hollow threats of lawsuits. What's amazing is that not one person that I have written about including my first cousin, Chris Korge, has sued me. In an action for libel, truth is an absolute defense. I would welcome the opportunity to confront Korge face to face, so that the truth would be publicly revealed. 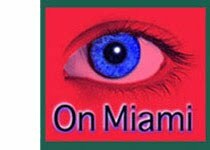 I have offered on numerous occasions to take a public lie detector test about the facts in my book Sins of South Beach if those that are accusing me of lying will do the same. C'mon Cousin Chris, publicly prove that you are an honest man, accept my challenge. Alex, I just finished your book a few minutes ago. It was a hard read. I am an honest person and seeing some of this on paper disturbed me. I have mixed feelings about you but recommend your book to EVERY PERSON IN MIAMI DADE COUNTY AS REQUIRED READING. Can I quote a few passages in a post? Clinton Gore Kerry Clinton never understood how the lingering undercurrent about Korge and other big insider players/money fund raisers affected their chances down here. Unlike Kerry before him, Obama didn't need them. Thankfully. In response to Jim Dougherty's fallacious comments my name is spelled 'DAOUD" not "daous." It is shocking that you would attack me for being convicted when you are also a CONVICTED FELON. 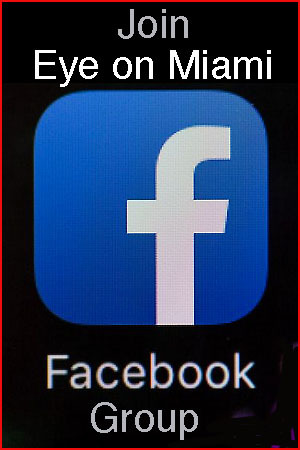 During your legal representation of the City of Miami Beach, you continually bragged about your so-called military experience which was a total lie. For your edification I have NEVER SMOKED CRACK and do not use drugs. But why don't we settle this the proper way. Why don't we both agree to take a lie detector test to prove who is telling the truth. Or we can have a charity MMA Fight in the ring just you against me. This should be easy for you to accept since I'm 75 years old and handicapped. Look forward to your moronic response.